Burglar Alarms, CCTV, Access Control & all security solutions. MJ Security Systems will secure, monitor and help you protect your business or home, giving you peace of mind. Your business or home needs a reliable burglar alarm system. We supply and install alarm systems and entry systems. We can even monitor and maintain these, giving you peace of mind. Too many CCTV solution choices? Let us guide you. We will provide the most suitable CCTV installation for your business or home, with Smartphone access, monitoring and other options. Do you have a Boat, Building site or Farm? Monitor your equipment or valuable items remotely from your phone or PC. 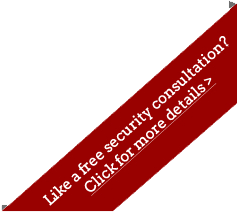 Speak to us about our specialist security options. Leading providers of security solutions across the UK. Based in Bedfordshire, we are a family run business, with the ethos to provide the highest quality and most technologically advanced security equipment, CCTV and burglar alarm installation and a tailored service at competitive pricing. Established in 1985, MJ Security Systems hes been going for almost 30 years and has earned an enviable reputation with Managing Director, Michael James, boasting 45 years' experience in the electrical and electronics industry. We have used MJ Security systems for the past 7 years and they have always provided an excellent all round service. When we recently moved into our new premises we needed a fully operational Burglar Alarm, Camera and Access Control System installing with a minimum of delay and M J Security went out of their way to accommodate our specific requirements. We now have a reliable technologically advanced system for our Security personnel to use, which is easy to operate and offers a very comprehensive level of cover. As well as being a local company, MJ Security systems staff have been very helpful and I have every confidence that extra works or problems are dealt with promptly and effectively. Just a quick note to say thank you for such a quality system and professional installer that you sent round. Joe is a great asset to your company. He installed my alarm about a month ago and then my mums alarm just a few days ago. He is a very polite and helpful installer, nothing was too much trouble. Please thank him once again for such a great job. Also thank jimmy for giving us the quotes. Once again very professional service. I will defiantly recommend your company to friends and family. Just a note to let you know how pleased we are with the intruder alarm and CCTV you installed for us recently. We were impressed with the extremely high standard of workmanship and the quality of products from start to finish. You have been pleasant to deal with and nothing has been too much trouble…and you ensured disruption to our offices was kept to a minimum. We have absolutely no hesitation in recommending you to anyone considering installing a Security System as your service has been highly professional, with the personal touch. Our security services cover the whole spectrum of security protection from commercial and domestic burglar alarms, CCTV, Covert Cameras, Door Access Control systems through to the most sophisticated ip-networked camera surveillance systems on the market. We offer the latest technological advances, researching and trialling new products as they become available.